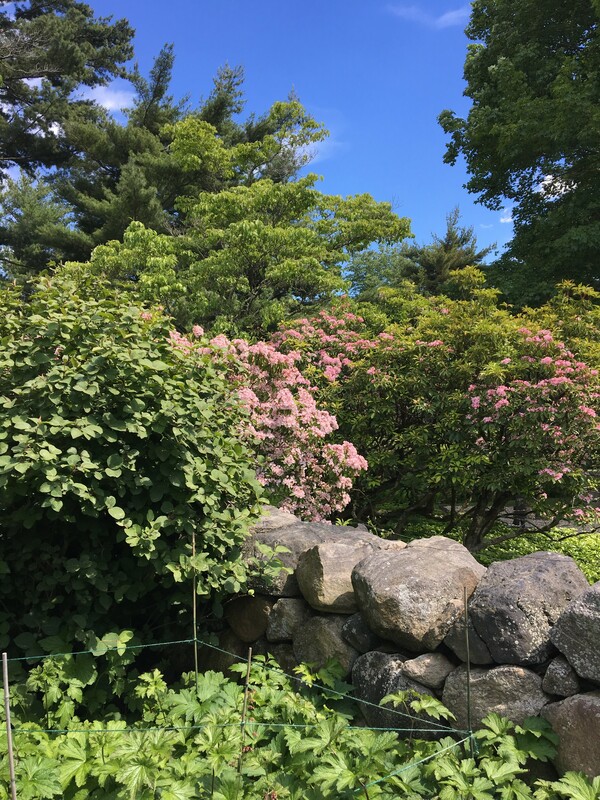 Late last spring, I was in Sleepy Hollow and decided to stop by Philipsburg Manor, since it was on my list of historic places to visit in the area. 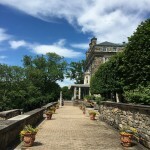 I was surprised to learn that it’s best to book tickets ahead of time, especially if I wanted to visit Kykuit, because both sites sell out and it’s rare to be able to just walk in and take a tour. 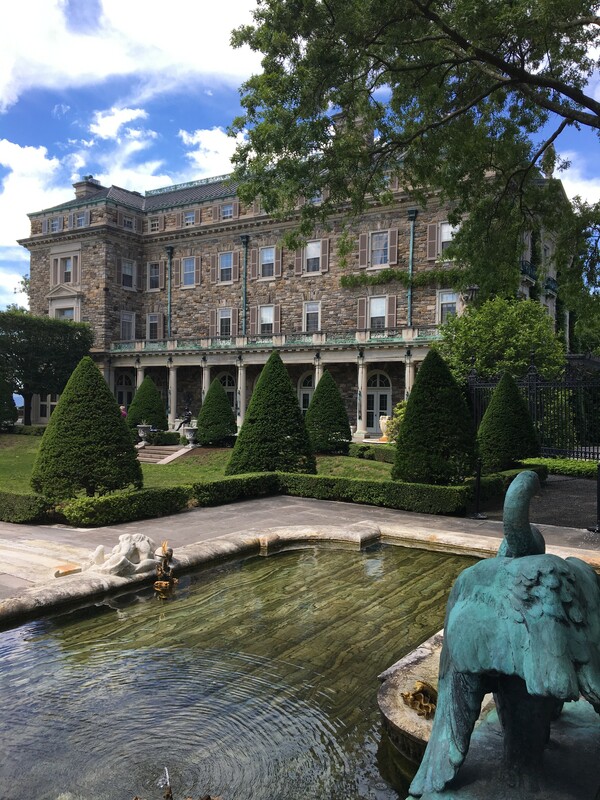 Philipsburg Manor is the starting point for tours to Kykuit, a historical six-story Rockefeller family estate. 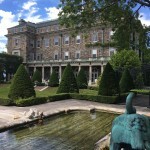 Visitors can’t drive to Kykuit; instead they must board a shuttle bus from Philipsburg Manor. 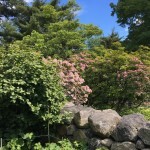 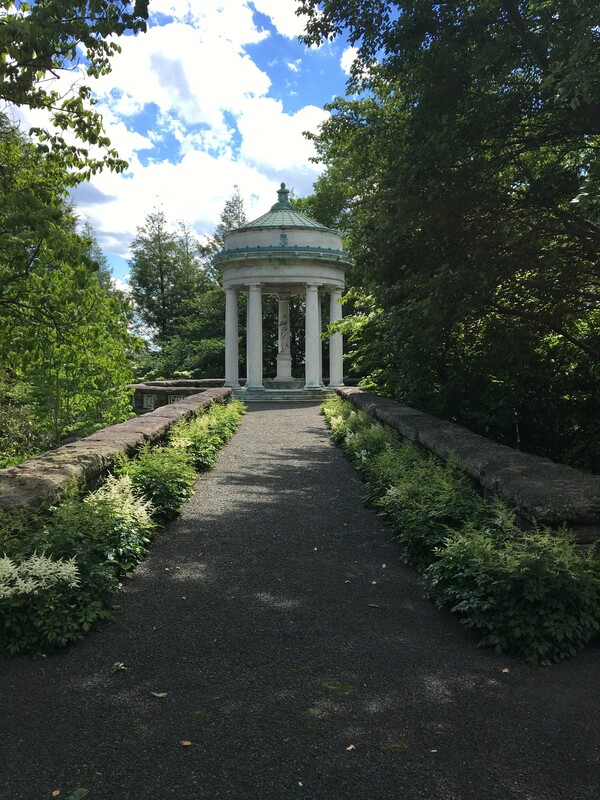 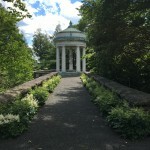 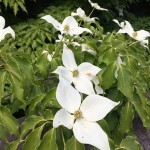 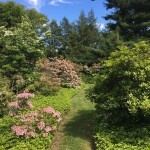 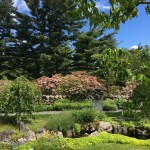 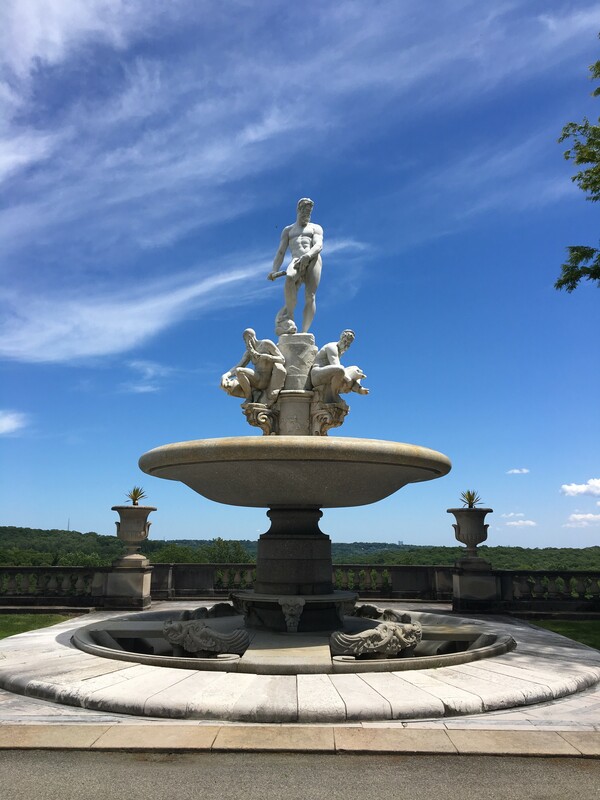 After reading about Kykuit’s amazing hilltop location and splendid gardens, I chose the 3-hour Grand tour, but other options are available that take less time. 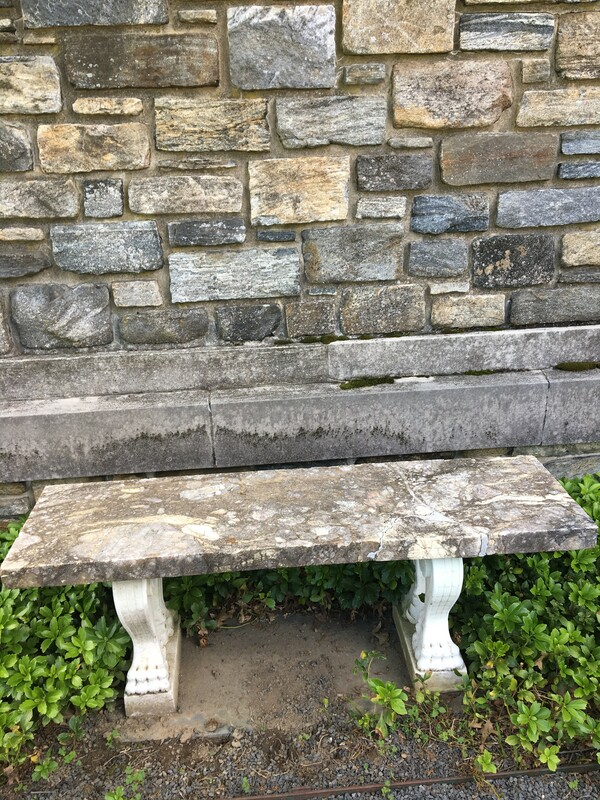 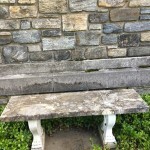 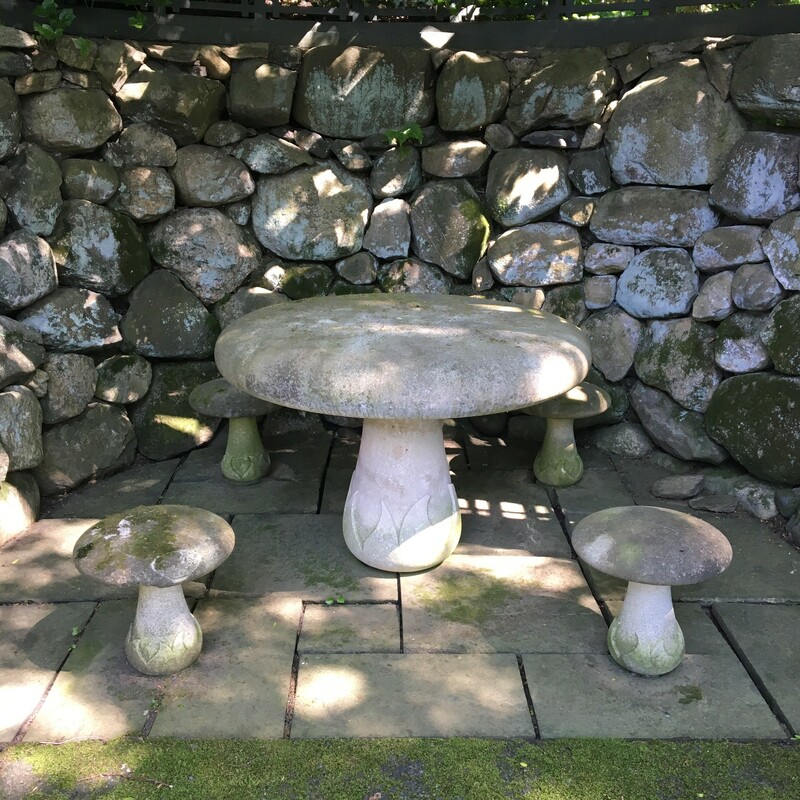 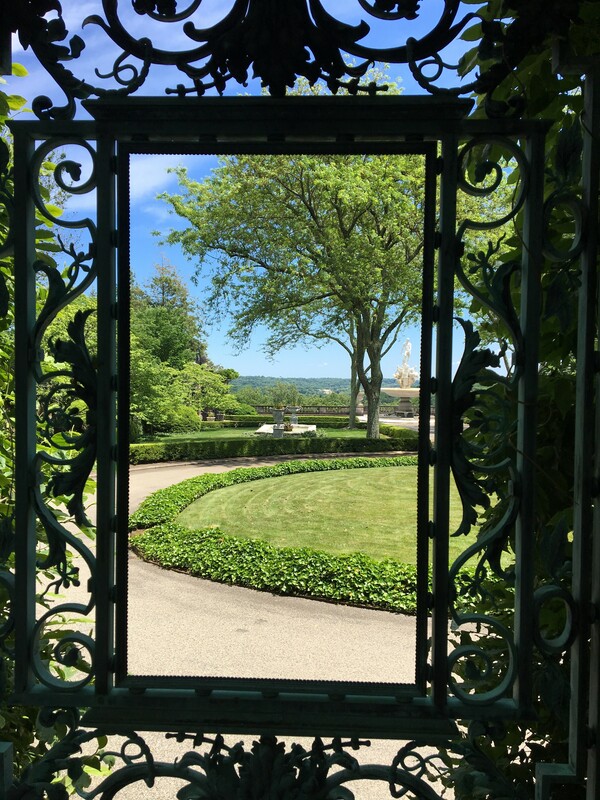 Kykuit comes from the Dutch word Kijkuit, which means ‘lookout point.’ It was home to four generations of Rockefellers and is now in the National Trust for Historic Preservation. 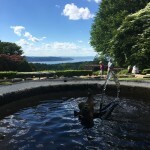 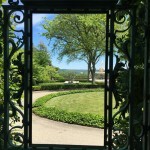 While the house is surprisingly modest, the gardens (designed by William Welles Bosworth) and views are stunning, and the art collection is impressive. 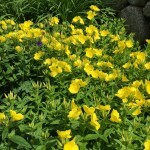 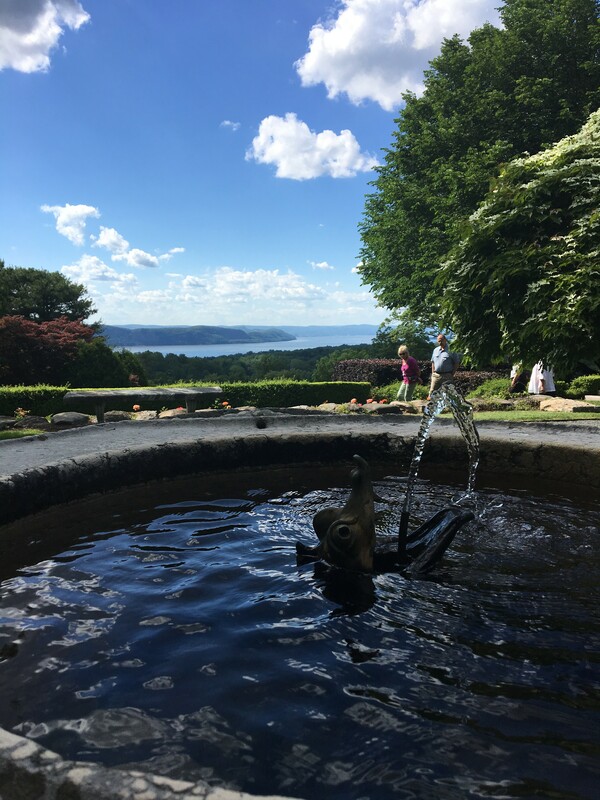 John D. Rockefeller was a strict Baptist with a strong work ethic. 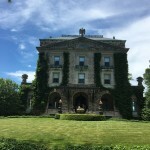 Although he was incredibly wealthy, he did not indulge in ostentatious displays of wealth, and as a result, Kykuit’s beauty is elegant and understated. 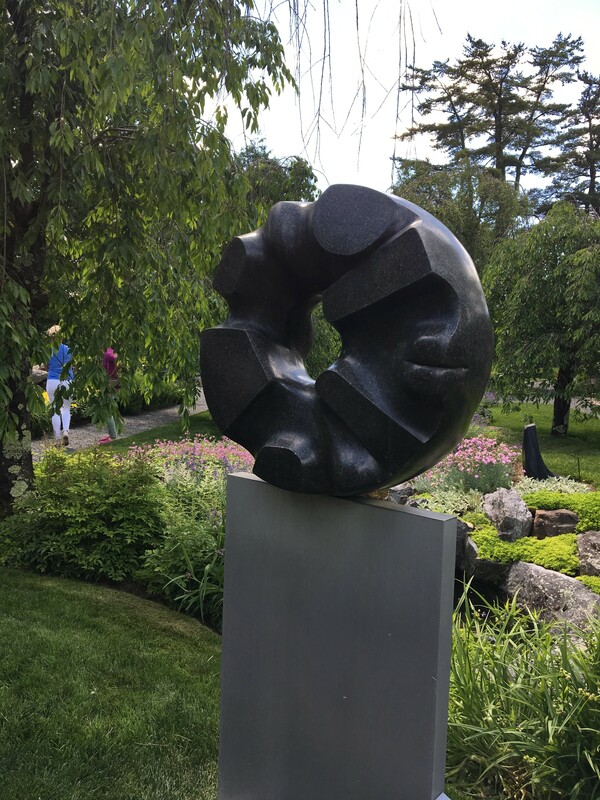 Rockefeller’s wife, Abby Aldrich Rockefeller, was an art collector and one of the founders of the Museum of Modern Art (MoMA) in Manhattan. 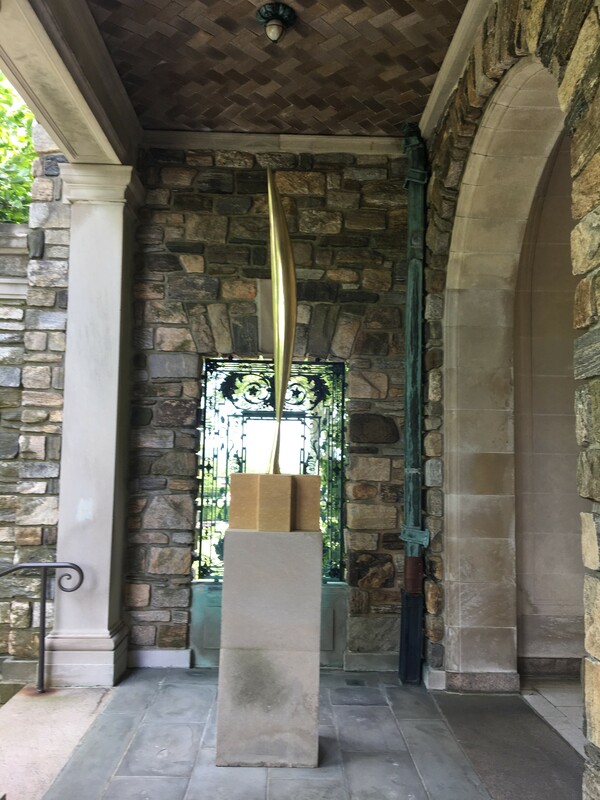 Their son Nelson Rockefeller moved to Kykuit in 1960 after his father’s death and created the house’s underground art gallery, inspired by his mother’s passion for 20th century art. 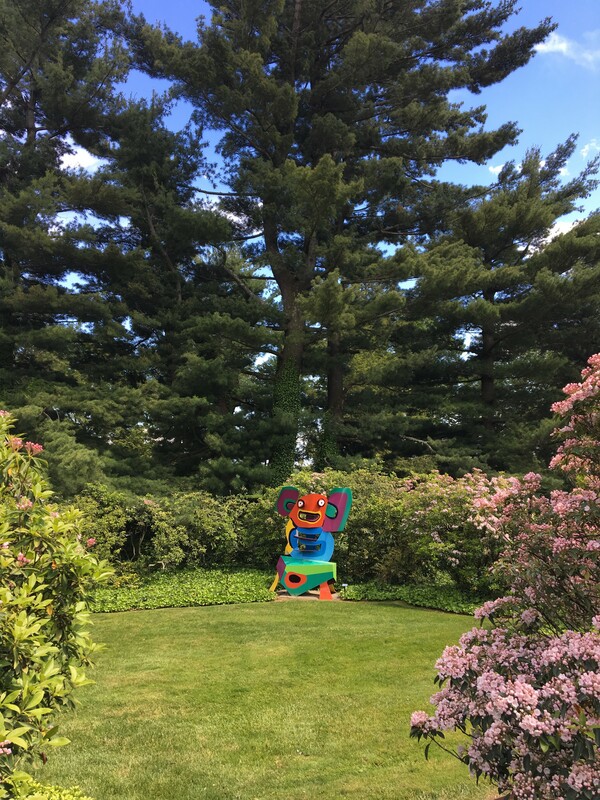 The collection includes works by Alexander Calder, Andy Warhol and a series of Picasso tapestries. 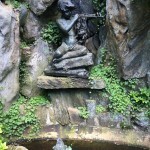 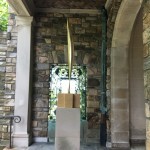 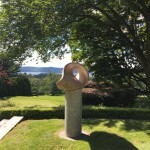 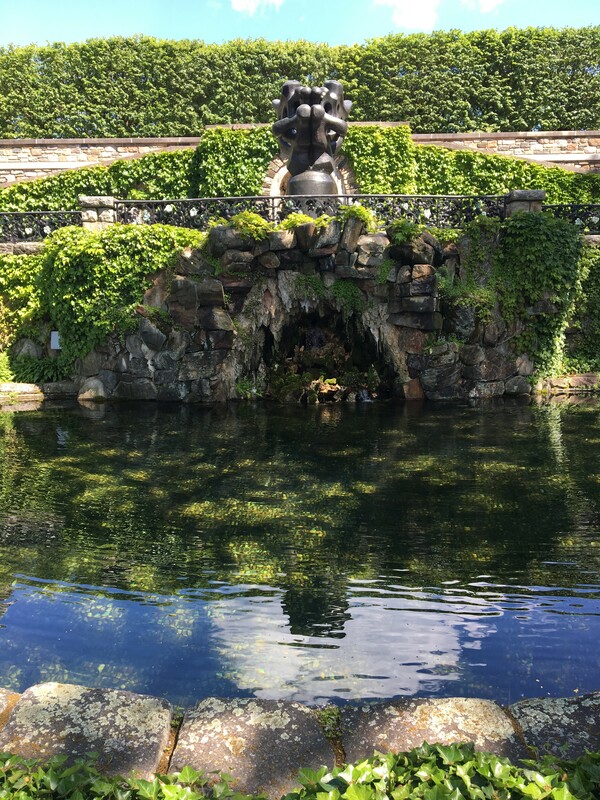 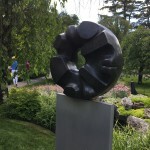 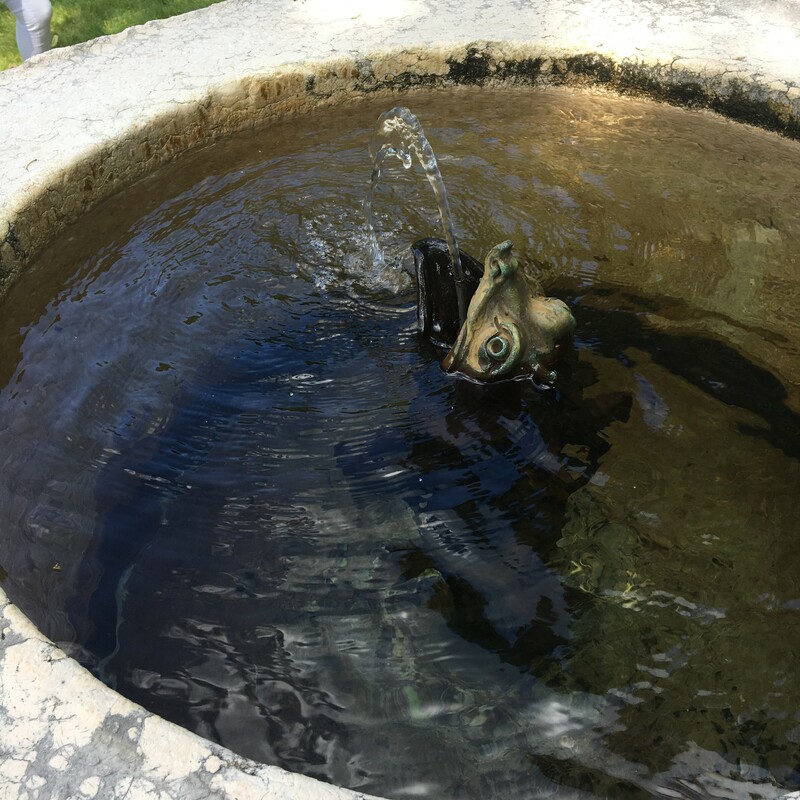 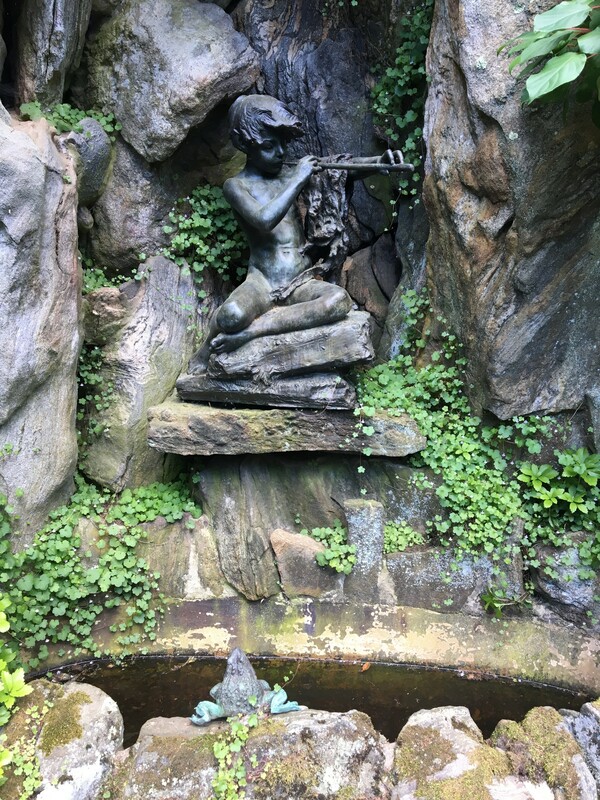 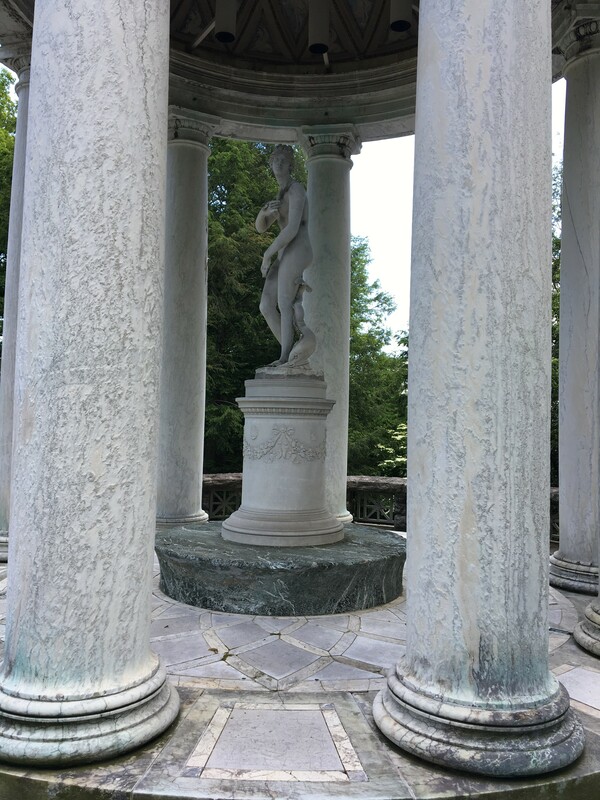 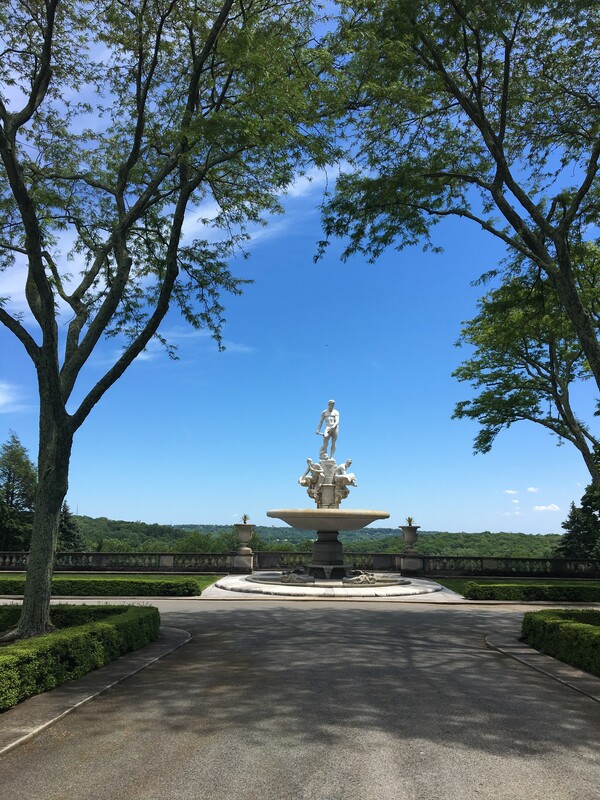 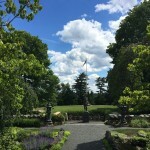 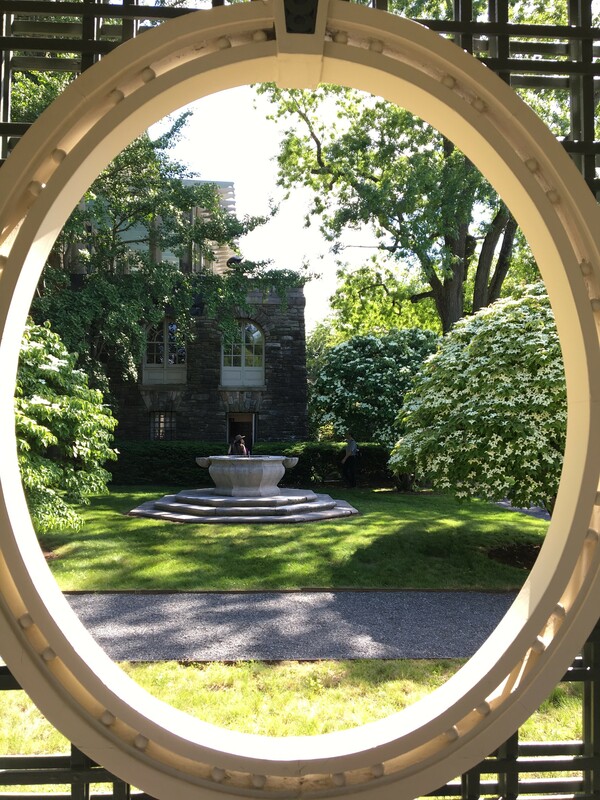 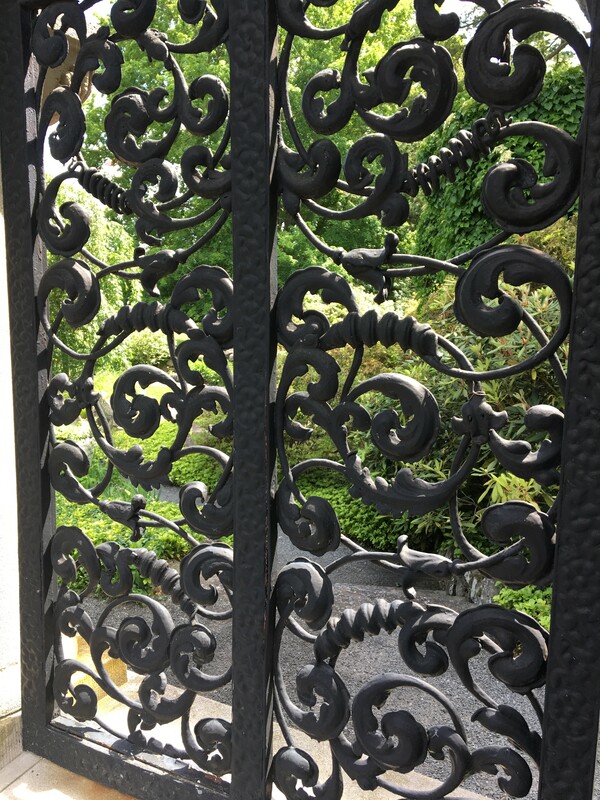 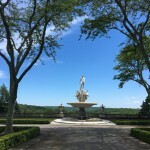 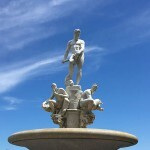 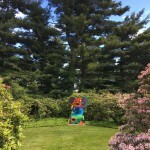 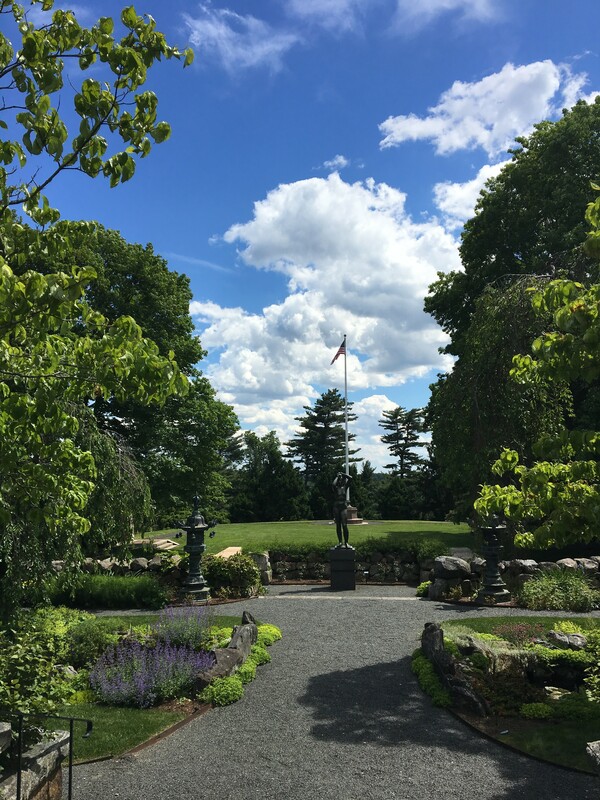 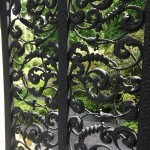 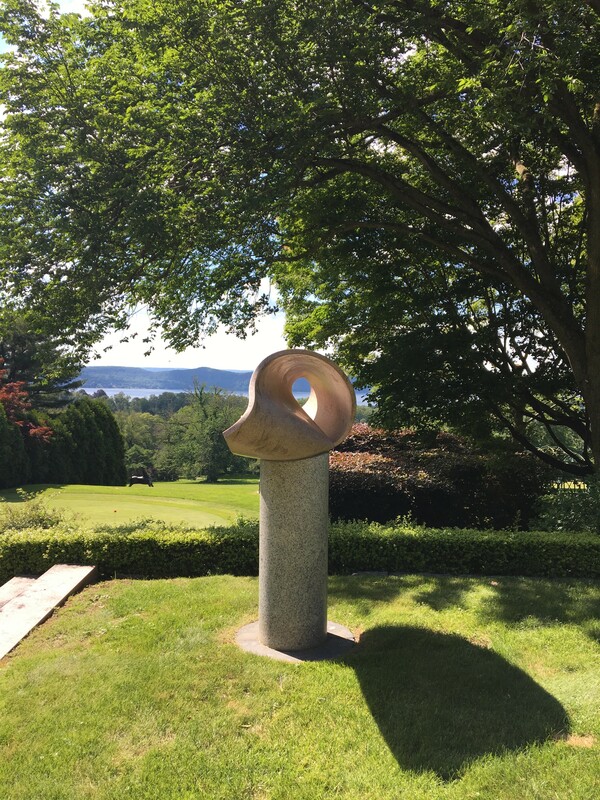 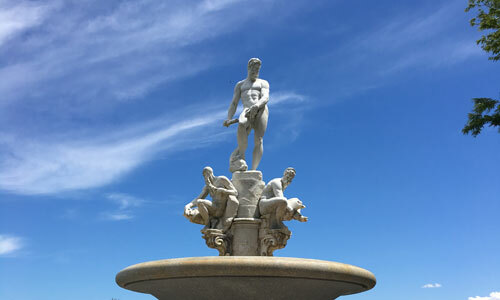 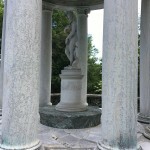 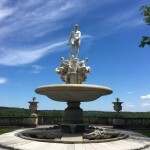 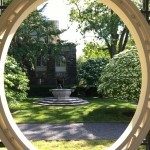 Nelson’s passion was sculpture; many outdoor pieces in Kykuit’s stunning gardens are works by Picasso, Brancusi, Alberto Giacometti, Henry Moore, Isamu Noguchi, Jean Arp, Louise Nevelson and David Smith. 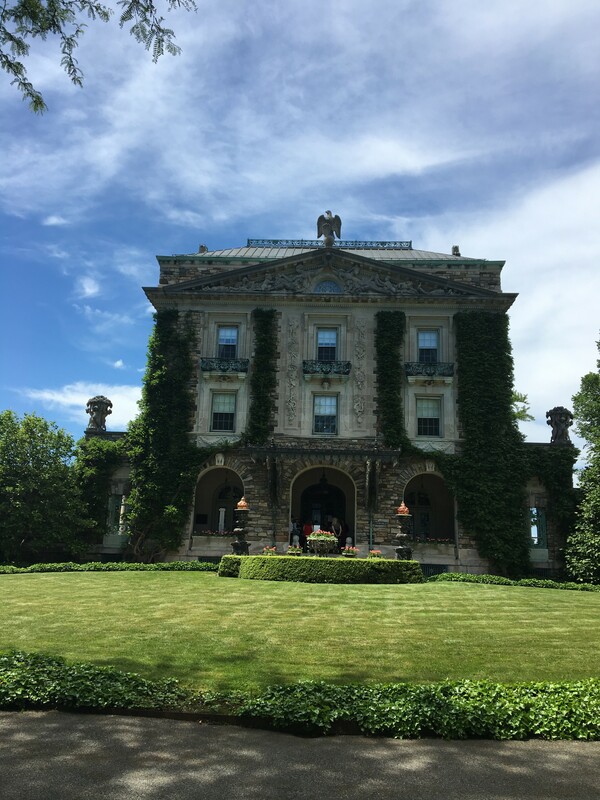 Our tour concluded with a walk through the enormous Coach Barn, which houses a collection of classic automobiles and horse-drawn carriages. 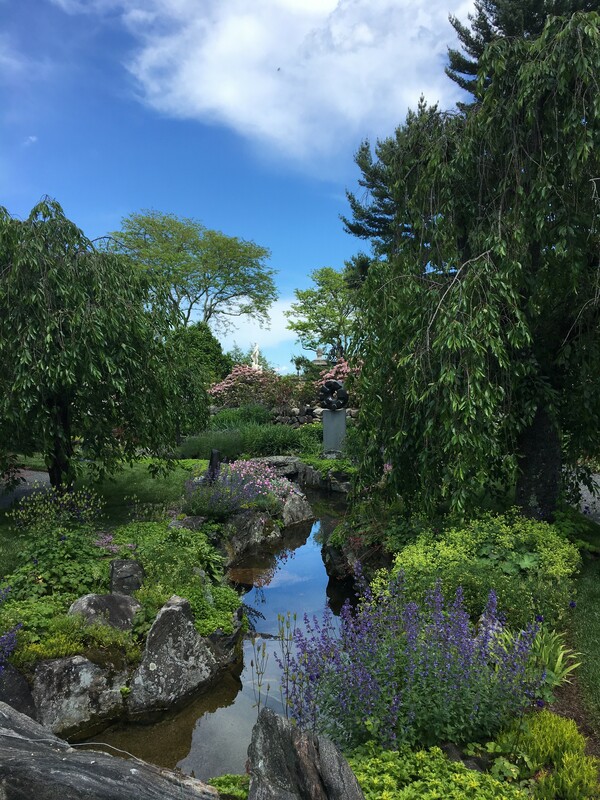 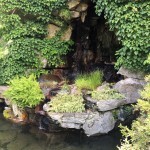 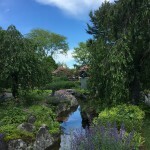 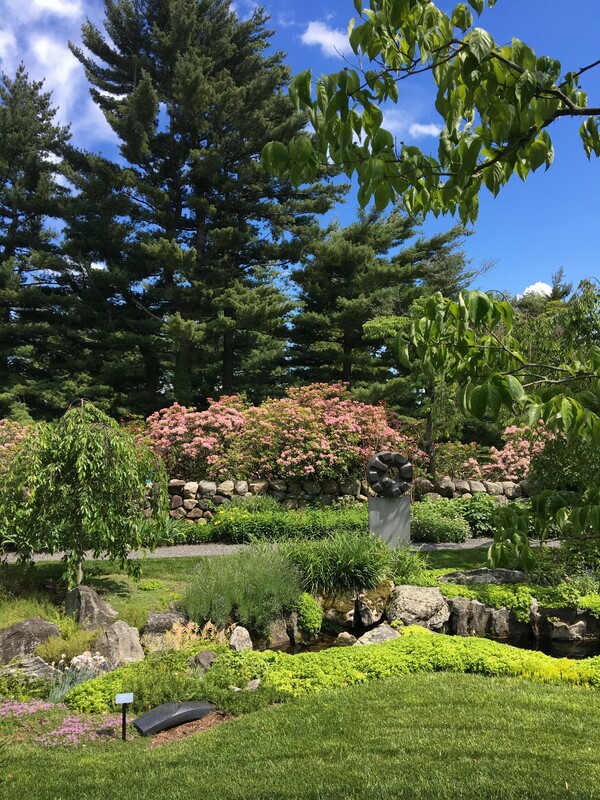 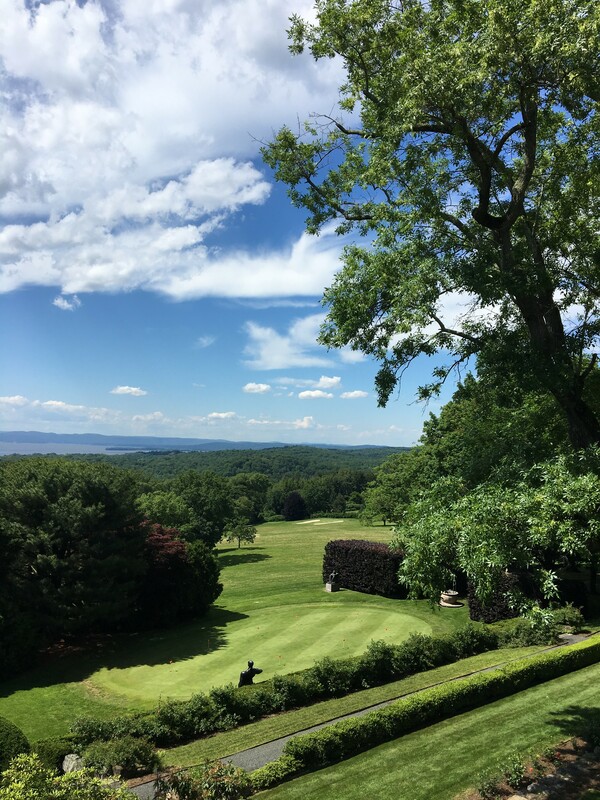 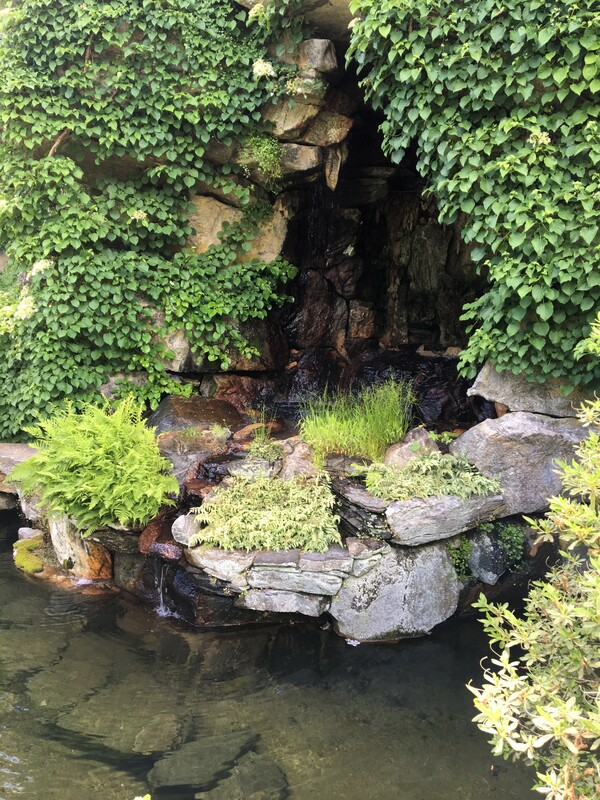 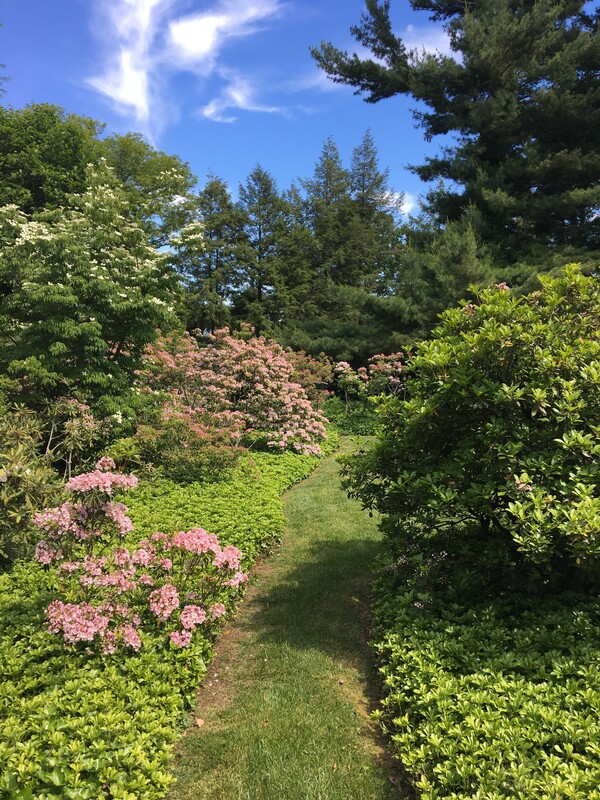 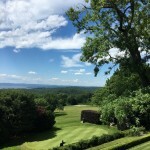 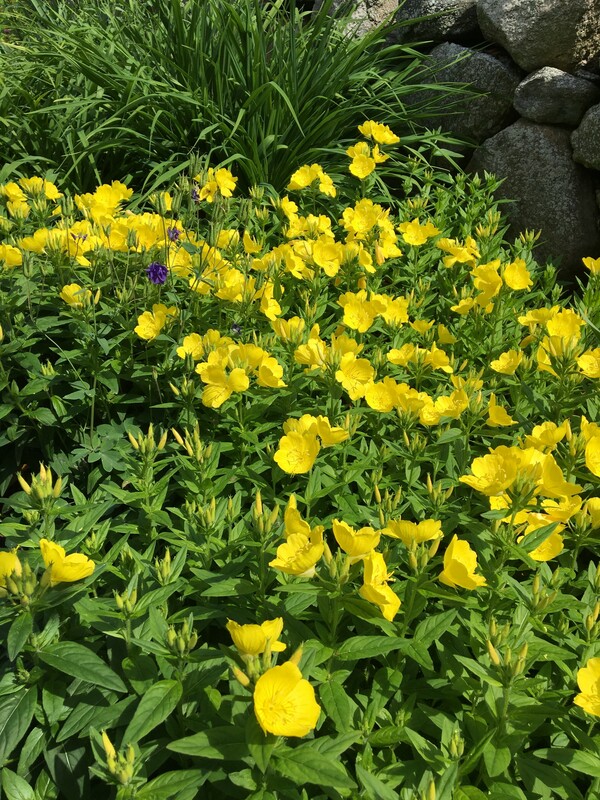 If you would like to visit Kykuit, my advice is to plan ahead, and book a tour on a day that is predicted to be sunny and pleasant to best enjoy the beautiful gardens and views. 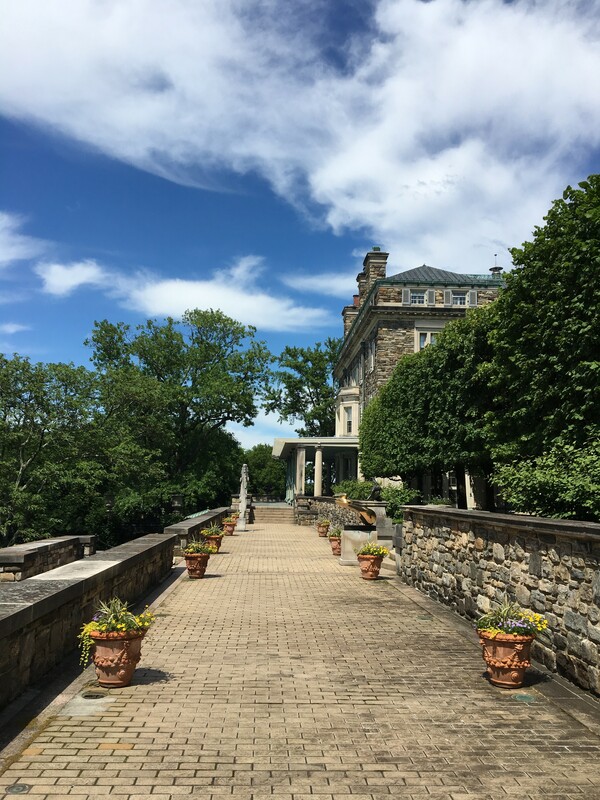 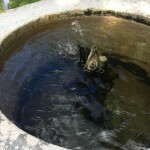 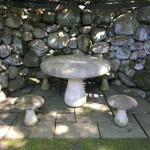 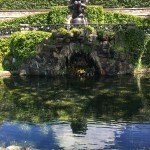 Kykuit is open from the spring (May) to early Fall (November).